Children tend to have their own internal clocks. Unfortunately those clocks don’t always correlate with the actual time that they should be getting up. 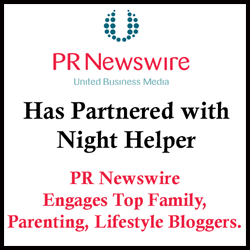 As parents we want our children to get adequate amounts of sleep…and to LET US SLEEP TOO! It’s usually best to help children learn to regulate their sleep, rather than allowing them to turn everyone’s schedules upside down. But. it’s hard to stay calm and focused when we are desperate to crawl back into bed! Night time and early morning waking can become a battle of wits, which makes everyone cranky. Vincent Claessen, father of 5, discovered that his children often interpreted certain things, like birds chirping or changes in the degree of light in their rooms, as being time to get up. He wanted to find a way to teach his kids how to know when it was really time to get out of bed. Thus the first Kid’sleep was born. 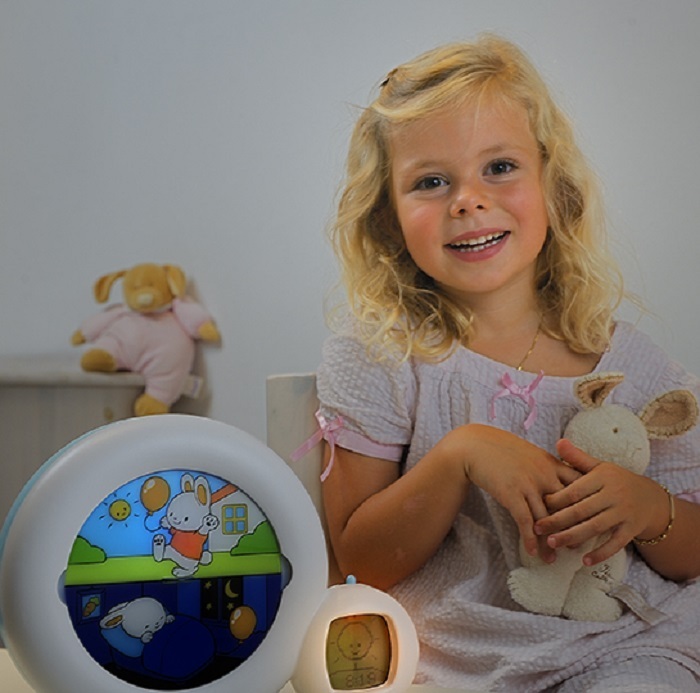 These special nightlight clocks teach children in a fun way, that is easy for them to understand. 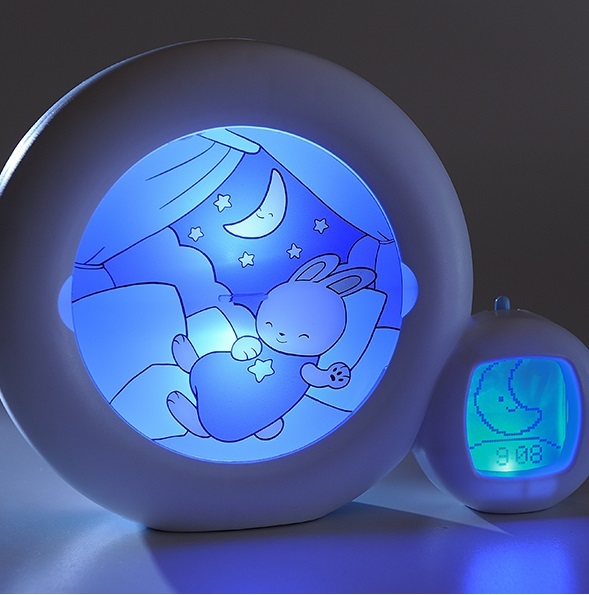 Starting at birth, the Kid’sleep Moon can be used as a traditional night light. It also plays lullabies, fountain noises and intrauterine heartbeat sounds. As baby grows, they can see images that will help them determine if it’s time to get up, or to roll over and go back to sleep. Parents choose what time the sun “rises” and it’s time to get up for the day. With 4 levels of brightness and 4 different alarms (or you can choose no alarm at all), you can find the perfect setting for your little one. 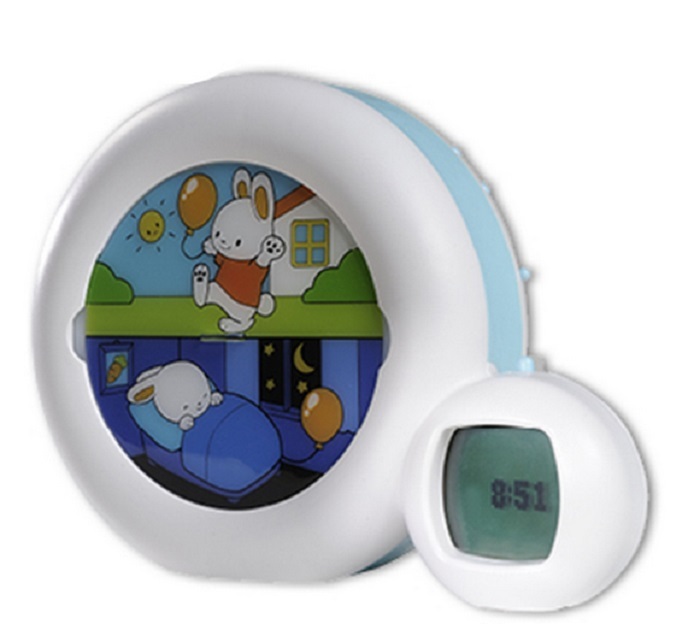 Claessens’ also has a Kids Classic in Pink and Blue along with a My First Alarm Clock in both Pink and Blue. Choose the one that best fits your needs, and help your child to help himself or herself, to know when it’s time to go to sleep and when it’s time to greet the new day! Disclosure: I was not compensated for this post. However, I did receive a product from the company below and the opinions expressed in this post are 100% my own. I am disclosing this in accordance with the FTC guidelines. All prize fulfillment will be provided by Sponsors. ← Happy Valentine’s from Newman’s Own Organic. 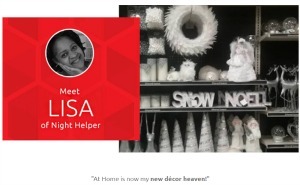 2015 Holiday Guide. 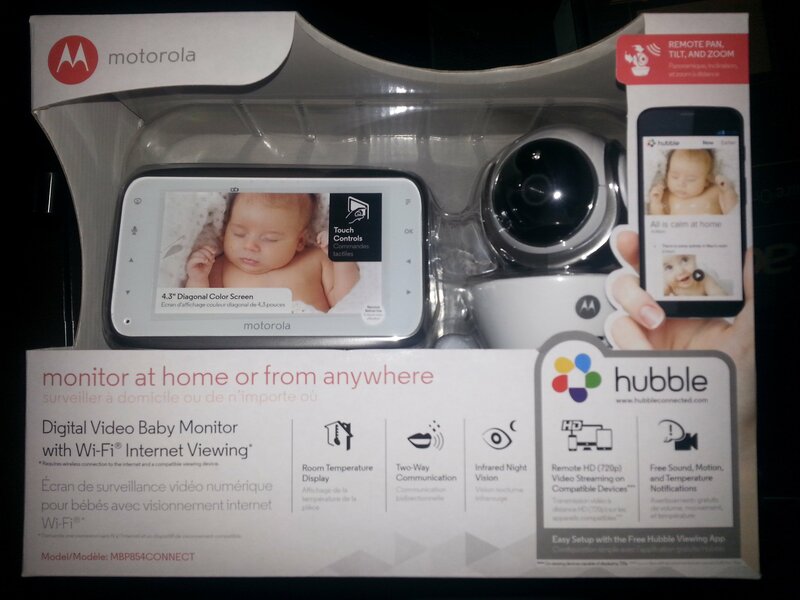 Motorola Digital Video Baby Monitor, every home needs one! 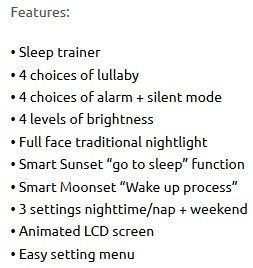 This sounds like a really good tool to help parents teach their children how to schedule their own sleeping time. I love this it sure sounds great. 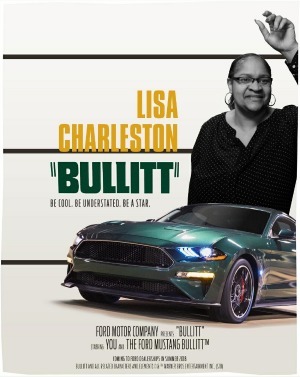 I know that we are not supposed to ever criticize anything, or say anything bad about any product ever on these blogs but this just looks like overkill to me. Kids needs to learn how to go to sleep without gadgets (I think so anyway). This seems like such a wonderful product to “help” children sleep!! I like that it has 4 levels of brightness and 4 different alarms! This is such a great idea. Its amazing how many parents do not know, or maybe just don’t want to deal with, how much sleep their young ones should be getting! Start young andbir stays with you. I must have my sleep so anything to help the little ones regulate it I’m all for it. What a great idea! 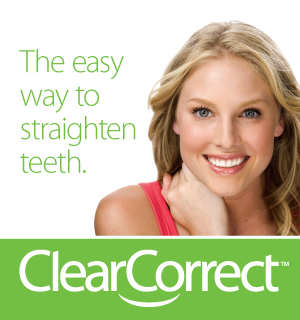 It seems like it could be very effective. What a smart idea, I bet this would be great for the little ones! All mine are too old now but this would be a great gift though! Thanks for sharing! sounds like an interesting concept. lots of kids just can”t settle down for a night sleep & this may help. All of us need rest especially parents. It does sound like a pretty good idea. It would work for most kids, probably, but you might get some who just want to get up when they’re awake, lol. 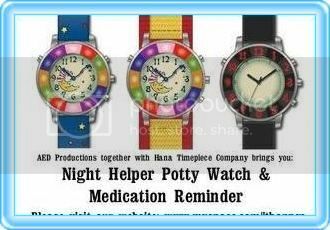 Need one for adults with insomnia! Lol! Wow this is light years beyond a normal alarm clock. This is really neat. Sleep is so important and young children need so much of it! This is just adorable and such a great idea for a fussy child who doesn’t want to go to bed. Adds allot of comfort too. I think this is wonderful………… it been MANY years since I had to worry about keeping kids in bed. I know when we were kids on saturday morning we were up at the crack of dawn. This was mom’s time to sleep in so we had cereal bowls already filled and a small bowl of milk in the refrig. Saturday morning cartons were a blast. todays parents confuse me…………. one of my friends girls sleep with her and husband sleeps in the spare room. 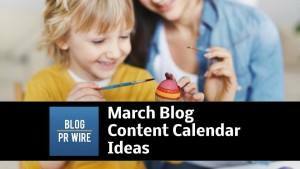 Very cute and great idea! 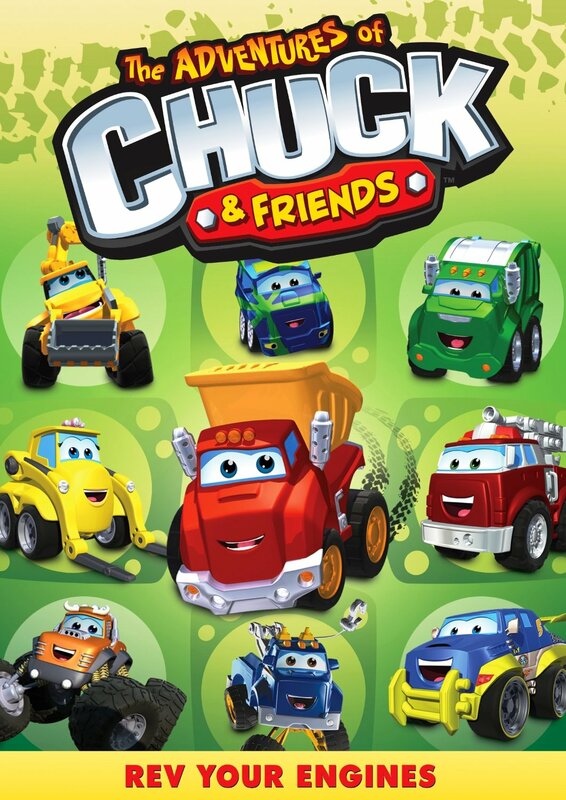 I wish they had this when my oldest was younger! I don’t have children in the house. So, I really can’t comment on this. If it works, great! Nothings worse than being woken up from a sound sleep. This is such a great product to get and have all the time child is growing up to help them with night time sleep. I think this clock is so cute!! My son has autism and this would really help us. I believe this to be therapeutic and a wonderful product to have. My son and daughter-in-law have something like this that they use for my grandson. I think it is pretty neat. Less activity seems to be better for better sleep. SO cute, love the idea of the Sleep Moon. Adora Dolls, spreading Love & Joy! !